India will play a four-Test series against Steve Smith's men starting February 23 in Pune. Australia have been enduring mixed fortunes in Test cricket of late, losing to South Africa before beating Pakistan. Batting legend Sachin Tendulkar on Monday picked India as the favourites for the upcoming Test series against Australia but warned the hosts that it would be a mistake to take the team from Down Under lightly. "The last thing one would like to do is underestimate your opposition and Australia is a strong side. 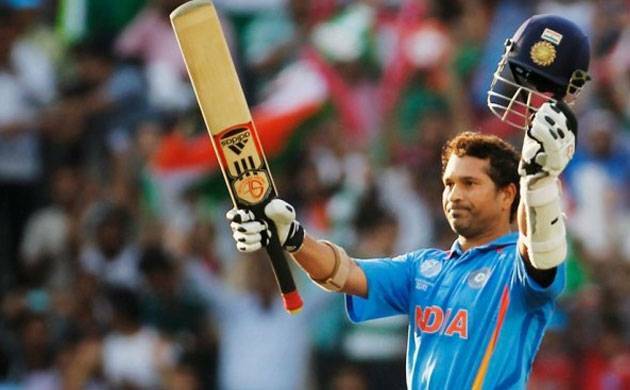 Yes, to play in Indian conditions it would be difficult and Australian players have also acknowledged that, which is a compliment to the Indian team, the way they are playing but you cannot take things for granted," Tendulkar said launching 'Sachin by Spartan' range of sporting equipment and sportswear. "I have no doubt that our team will prepare to their best of the ability and deliver when it matters. Australian are going to be tough to handle and that's how it has always been. But I think I am confident of Indian team" he added. He also emphasised on the fact that people should spend more time in the gyms and less time on dining tables.